People list all sorts of books that are ‘the’ book to be seen with this year. You know the sort of thing: ‘A sensitively drawn picture of the subtle shifts in feeling of a young railway timetable compiler in interwar Guatemala as he comes to terms with his love for a 17 stone yak against the background of the shifting Siberian dubstep scene’. I want to take those books on holiday and read them, I really do. But the first thing I really want to do is to immerse myself in another world of action, spitting and disembowling your enemies with a sword. 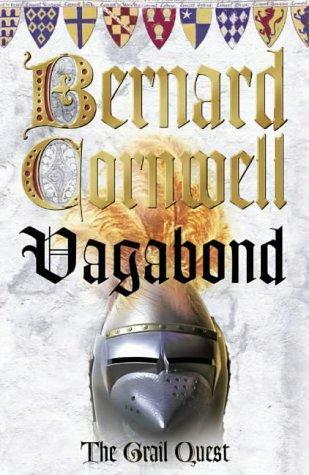 I developed a liking for Bernard Cornwell a few years back on holiday when my children were younger and head space was hard to come by. So I have 3 of these, and as the sun sets across French hills, I will be sipping red wine and reading about fighting. My children are reaching the age that some things they like, I like. Actually they are beginning to introduce me to things that I have never heard of that I have come to like (I will discount Capital or Galaxy Fm or whatever it is called….whenever the car radio is tuned to that, my inner Victor Meldrew comes out: ‘You call that music….when I was a lad etc....). This is some mindless, but very clever entertainment for Monday. Aparently there are a whole series of these on Youtube: they have moments of rare comic genius. Now we bond over catchphrases. Leaving aside the nusances of ‘holy Temple’ (and no, it is not a church building), I like the idea today of silence. Not in the sense that some churches insist: a silence/absence of chatter before formal worship: noise and chatter is part of life and I have never liked the moves in churches to abstract worship from real life. I picked this up a few weeks back. It is meant to be tongue in cheek, I guess. But it makes sense to me- I vary between introvert and extrovert, but am probably closer to the former. 3,4,5 and 7 in particular speak to me. I had always wondered why when people want an answer without giving me time to reflect gives me so much grief. Similairly people who talk and talk and give me lots of instructions: give it me in writing and let me go into a ‘cave’ before expecting a response. This came from http://www.internetmonk.com/archive/best-quote-ever. I frequently look at this site and like the tagline ‘dispatches from the post evangelical wilderness’. It is a place where I am, but this site, from an American context is a beacon of sanity. Originally he headed this long quote ‘The best quote ever’. I am not sure I agree with that, but it is a welcome voice of sanity from the voices that bray ‘the Gospel is under attack’. I love the description of a certain section of the evangelical movement running around like a flock of Chicken Littles. I love it as I guess I am still (just) part of that movement. ‘It is notable that on only two recorded occasions did Paul go so far as to make the claim that the gospel itself was at stake in a given controversy. The first in his letter to the Galatians and the issue on the table is whether or not Gentile converts needed to keep the Jewish Torah and the males among them become Jewish proselytes by having themselves circumcised. …The other issue on which Paul is willing to stake everything is Jesus’ bodily resurrection. In 1 Corinthians 15 he tells them, “And if Christ has not been raised, then our preaching is in vain and your faith is in vain” (v. 14) and “And if Christ has not been raised, your faith is futile and you are still in your sins.” (v. 17) In other words, the gospel itself is at stake here. The resurrection of Christ is “a matter of first importance” (en protois–v. 3) and an article upon which all else hangs. …I am always amazed at how quick we often are to sound the “The Gospel is at Stake” alarm. We evangelicals sometimes act like a flock of Chicken Littles, running around like we’ve lost our heads squawking, “The sky is falling! The sky is falling! The gospel’s at stake! The sky is falling!” at even the slightest rattling of our little hen-house of a subculture. We could save ourselves a lot of grief by remembering the centrality and priority of the resurrection and by putting everything else in (that) perspective. …So ask yourself: If it turned out that Jesus is risen but Darwin was right about human origins after all, would you give up your faith? If it turned out that Jesus was risen but Protestantism was wrong and Catholicism or Orthodoxy was right (or the other way around), would you opt to become an atheist? If it turned out that Jesus is risen and that the New Perspective is more right than wrong about Paul, would that be grounds to abandon Christianity altogether? If it turned out that Jesus is risen but the doctrine of predestination is true (or false! ), would you see no more point in following Christ? If it turned out that Jesus is risen but Genesis 1-11 is ancient Near Eastern mythology, would you apostasy? If it turned out that Jesus is risen but Mark and Luke made historical slips here and there and Jonah was actually a non-historical children’s story, would your faith be in vain? This one is from http://davidkeen.blogspot.co.uk. I have been musing on this a lot in the last few weeks: more so as I have taken funerals and I think he is right (I have an image seared into my brain of a child’s balloon blowing in the wind in a graveyard I was in a week ago). All I do is provide a gentle framework for people who generally don’t have one and the funeral is a wistful longing that they wish they did. People often wish they had the faith of grandparents, great grandparents etc and can’t, with integrity, hold to one now. But there is still a longing and an awkwardness in front of the great unknown. “(the funeral director) told me that most people who come to arrange services don’t believe in anything. He said that if he’s learned anything from doing his job, it’s that if you don’t have a spiritual practice in place when times are good, you can’t expect to sudddenly develop one during a moment of crisis. He said we’re told by TV and movies and Readers Digest that a crisis will trigger massive personal change – and that those big changes will make the pain worthwhile. But from what he could see, big change almost never happens. People simply feel lost. They have no idea what to say or do or feel or think. they become messes and tend to remain messes. Having a few default hymns and prayers at least makes the lack of crisis-born insight bearable. I read a lot of blogs. Over the next 3 days I am going to post 3 that I have sat on for a while that have really made me think. I read this guy a lot http://www.nakedpastor.com/ : I don’t always agree with him, but he seems to attract a lot of trolls and people who love flame wars (‘You are wrong because it says so in the Bible.Repent’- always a good gambit for dialogue and finding what someone thinks. Not). This post I did agree with and I loved his cartoon. The story is very American and I am in a British context. The temptation though is strong: to project an image of I have it all together- a lot of Christians try and be more perfect than God is. There is also the concommittant temptation to say ‘I am the One who will lead you little children’. I think some people join churches where that is what they will get. Jesus seemed to ask a lot of questions of people and rarely gave the ‘answer’. Where he did give a lead, it was pretty tough and led to lots of questions. The guy who wrote this post recommends Henri Nouwen ‘The Wounded Healer’. I encountered that book early on in my ministry and cannot recommend it highly enough either. ‘When I was hired by an international ministry to plant a church in New Hampshire, my boss made it very clear to me that I was not to show any weakness, but only strength. He said that people need to see someone who has succeeded at life and proves their leadership anointing by living successfully. If your people see you struggle they will lose faith in you. If they see you change you will lose them as followers. I was told this while I was moving to New Hampshire to plant the church. I knew I was in trouble long before I got into it. Why? Because I believe the best kind of pastor is the one who pastors in weakness and not strength. The best pastor is one who shows people what it’s like to change and struggle through these changes. The best pastor is one who’s theology develops rather than stagnates. I lasted 6 months. But I did plant a church that is still going. I suppose I was replaced by a more compliant pastor’. I am a sucker for Wesley hymns: going through a period when the hymns/songs I can sing are diminishing, Wesley has always remained. Ok, the language needs translation and engaging with but what is being articulated and the way it is being articulated is hard to fault. It is a world away from a ‘Jesus is my lover’ type song. What I love about these hymns is the way that they do not sing about God either as a cuddly teddy bear or an acedemic concept. I like too, how a ‘missional DNA’ (jargon alert) is right at the centre of these hymns- very little about a cosy fellowship where we can be safe and looked after that is a trap that most church communities can fall into. And quench the brands in Jesus’ blood.